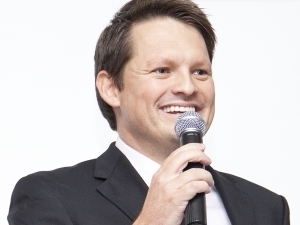 Gian Visser, CEO of Afrihost, has won the coveted title of IT Personality of the Year 2014. Gian Visser, CEO of Afrihost, has won the coveted IT Personality of the Year award for 2014, and Tshifhiwa Ramuthaga, CIO of the Financial Services Board, has scooped the Visionary CIO title. In addition, Ahmed Ismael, director of the Siyafunda Community Technology Centre, received special recognition for service to the community. The winners were announced at this morning's IITPSA President's Awards Breakfast at the Monte Casino Ballroom, in Fourways, where 400 guests were in attendance. "We wanted to change the local broadband landscape for the better." "I am a tough CIO, and my vision was embraced by the company." "We are running more than 80 community centres nationally." IITPSA's IT Personality of the Year Award – now in its 36th year – is presented in association with ITWeb, Gartner Africa and Gordon Institute of Business Science. It recognises an individual who has made an exceptional contribution to the South African IT industry. Accepting the IT Personality award, Visser attributed his success to the other co-directors at Afrihost. "This is for the whole team." The judges said Visser's entrepreneurial spirit, energy and enthusiasm sustained the team that built Afrihost – from a three-man operation into a high profile broadband service provider. They were also impressed by Visser's ability to bring disruptive change to the market – he has been instrumental in driving more affordable broadband services. Visser's win comes hot on the heels of the Competition Tribunal giving the green light for MTN's acquisition of a 50% stake in Afrihost. 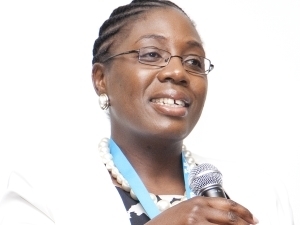 Tshifhiwa Ramuthaga, CIO of FSB, is Visionary CIO 2014. "I am also excited because tomorrow Afrihost will be opening its new offices and I am very overwhelmed by all these awesome things happening in my life at this moment. All these amazing events feel like they are being crammed in at one go," said Visser. The other four finalists were Ahmed Ismael, director of the Siyafunda Community Technology Centre; Alison Gillwald, executive director of Research ICT Africa; Bevan Ducasse, CEO of WiGroup; and JJ Milner, founder and MD of Global Micro Solutions. The judges said the common thread among the finalists was "passion, perseverance and belief that technology can change lives, mindsets, business models, industries and the country itself – they each fight in their own way for IT's rightful place on the national development agenda". This year's winner of the Visionary CIO award is Financial Services Board (FSB) CIO Tshifhiwa Ramuthaga. According to the judges, she "manages to bridge the regulatory and business world, and has transformed the way the FSB delivers its regulatory business by introducing a customer-centric approach". Her ability to influence executives as to the value technology can bring to their business and clients, turning around IT from a support organisation to a business partner, also impressed the judges. She is "willing to ‘break down' what does not work before starting to rebuild. The ICT environment in her charge is a crucial enabler to the FSB's vision to promote and maintain a sound financial investment environment in South Africa," the judges' citation said. On accepting the award, Ramuthaga said: "I want to thank the IITPSA for this award. It's a humbling experience for me to get this award. I also want to thank my former bosses at Standard Bank and Telkom who are here." Ahmed 'Smiley' Ismael was given special recognition for his service to the community. She also thanked the business and her team: "I am a tough CIO who expects more from my people and from business. I am a transformational leader and my vision was to recharge business strategy, and my vision was embraced by the company." Other top finalists were Woolworths CIO Danny Naidoo; group CIO of Tiger Brands, Darryl Thwaits; Lion of Africa CIO Robert Boccia; and Aon South Africa CIO Sandra Hutchison. The judges highlighted the fact the five finalists "all share a belief in the power of the CIO to drive strategic changes – not only to support business growth, but also to innovate and transform business". The Visionary CIO award is in its seventh year and also presented by the IITPSA in association with ITWeb, Gartner Africa and Gordon Institute of Business Science. The judges decided IT Personality finalist Ahmed ‘Smiley' Ismael deserved special recognition for his service to the community. "Smiley opened the first Siyafunda Community Technology Centre in Palm Ridge in 2006, bringing IT literacy, Internet access and services to communities, at their doorstep. He created a business model that has made these services affordable, and there are now more than 80 centres nationally," said IITPSA president Wellington Matope in the citation. "His years-long commitment to the industry and his willingness to engage with tough problems, rather than simply to pick low-hanging fruit, makes his contribution to the industry invaluable." 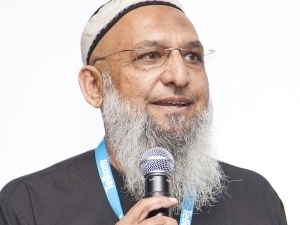 The IITPSA annual awards follow a strenuous process of public voting and an adjudication panel, with finalists for both categories being selected from dozens of nominations received from the IT community, ITWeb readers and the public. The panel then scrutinises each candidate, and selects the top five in each category, and then holds face-to-face interviews with each finalist to select the winners. Promoting excellence is what the annual IITPSA President's Awards are all about, and this year's event sees this extend beyond the winners of each award, into the entire audience for the event and further into the IT community. Everyone loves a winner – and there will be plenty of past and present winners in the room at this year's IITPSA President's Awards, to be held at the Montecasino Ballroom on Thursday 6 November. The 2014 IT Personality and Visionary CIO awards near the final stage as the top five finalists in each category have been selected. Having a bicycle changes lives by increasing the distance people can travel, what they can carry, where they can go and how fast they can get there. Click here to find out more about our charity recipient for this year. Thank you to the companies that demonstrated their leadership in supporting the ICT industry, by sponosring a table at this prestigious event. Don't miss out - sponsor a table, or book a seat at this prestigious event today! Attended by leaders from corporate business and government, in addition to some of the most influential people from the IT community, this is in an event not to be missed. Join us in celebrating the ICT industry's top achievers. Click here to confirm your attendance at this exclusive business breakfast today.